The ‘Bit came across this video by artist lord-lorenz yesterday and I loved it so much I decided to share it here. 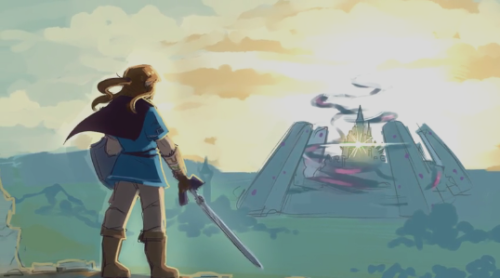 The narrative may not make much sense if you aren’t a fan of the Zelda series of games by Nintendo but the art itself and the sense of movement with the sketches are just gorgeous. Just right click on the sketch below and chose play.